Pittsburg: Take a good look so you can tell your Grand Kids about the time a circus used to be held in a tent. With the last show July 17th 1956 another phase of the good old days fades out. The circus will be held indoors form now on. 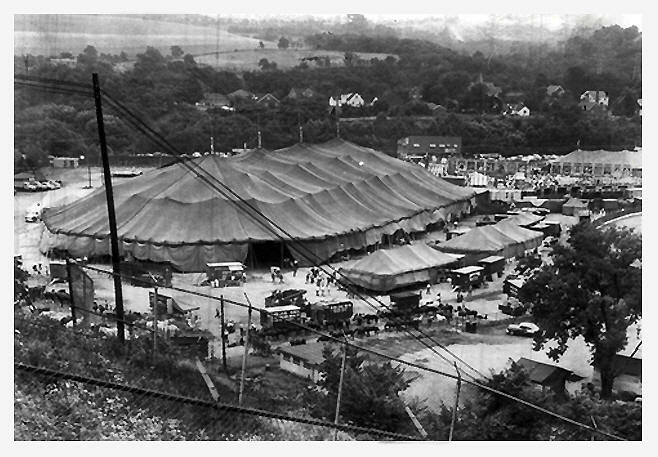 This is a general view of the circus taken from a nearby hillside.